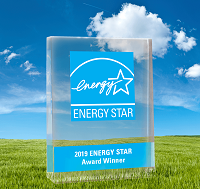 Servidyne is proud to announce that it received the 2019 ENERGY STAR® Partner of the Year Sustained Excellence Award for continued leadership and superior contributions to ENERGY STAR. Servidyne ’s accomplishments will be recognized by the U.S. Environmental Protection Agency and the U.S. Department of Energy at a ceremony in Washington, D.C. on April 11, 2019. Servidyne was honored for assisting commercial buildings throughout the country to improve their energy efficiency and thereby reduce greenhouse gas emissions. This is the company’s 17th ENERGY STAR Partner of the Year award, the most for any service provider in the nation, and the 13th time the company has been recognized with the highest honor for Sustained Excellence. Servidyne provides energy and sustainability consulting in the commercial and institutional building sector. The Servidyne team combines the real-world experience of seasoned professionals with the enthusiasm and fresh perspective of younger engineers, providing solutions for clients that are both practical and forward-thinking. Services include benchmarking and strategic planning, energy audits, retro-commissioning, demand response strategies, energy modeling, investment grade audits, sustainability assessments and LEED® consulting. The company has achieved 17 ENERGY STAR® Partner of the Year Awards and is a LEED Proven ProviderTM.